You love personal and spiritual growth, but you don’t make it a regular part of your day. You want to experience the calm and peace you read about in all the books you buy, but instead you feel overwhelmed and disconnected. You know your life would be better if you took time to meditate (or do yoga or journal), but you’ve already got too much on your plate. You’re not looking for a major life overhaul. You want to do something small and simple that will improve the quality of your life now. If the words above resonated with you, you’re not alone. My online business buddy Peggy Freeh printed this on her website and it made me sit up straight and listen to what she has to say. I’m one of those mamas who wants to be more mindful and self-aware. I crave personal growth and know that when I give this part of my life the attention it deserves I’m a much more peaceful and loving mother. When my soul is being fed, I can begin to see life beyond the laundry pile. I feel less hard-done-by. I’m also a better wife, friend – human being. I eat better, I take care of myself. I’m fun! I have more to give and I feel so much happier. I used to buy all of the inspirational books and I genuinely wanted to put all of the great things I read into my daily life, but then things would get hectic and I’d slip back into my old ways. I knew what I was capable of if I’d only stay focused on the positive! It wasn’t easy. One area I knew I needed to work on was my mornings. I was a B.I.T.C.H. of a mother in the early hours and my poor kids bore the brunt of it. I’d wake up and immediately begin barking at them to get up, get dressed and have breakfast so I could get them to school on time. I remember dropping them off at the school gates, then putting my head on the steering wheel and crying. I wanted to be patient and kind, but there was something about being on mama duty from the moment I opened my bleary eyes that made it so damn hard for me to be nice. I’d sleep in, then stay in bed a while longer to write in my journal. Hashing out problems or having a vent on paper is always good therapy for me. Seeing things in black and white helps me to make sense of my thoughts and emotions. By the time I got out of bed I’d feel a better connection to myself and have kind of a game plan for how I wanted my day to go. It never occurred to me to get up before the kids on weekdays to have this quiet time to myself. All my life I’d told myself ‘I am not a morning person’, so this did not feel like an option for me! It’s made a wonderful difference in my life. I stay in bed and either listen to a guided meditation on a phone app, do some Tapping, write in my gratitude journal, or read one of my positive books. I have a toolbox of inspiration in a shoebox under my bed. Not only have our mornings turned around, but it’s helping me to score a big fat 10 on the personal growth petal on my Project Me Life Wheel®! I hadn’t thought of this as a ‘Daily Practice’ until I discovered Peggy Freeh and her podcasts and website www.simpledailypractice.com. Peggy firmly believes that no matter how full-to-the-brim your life feels, there is always time for a Simple Daily Practice that’ll work for you. Even the busiest of mothers can do this. Maybe you don’t have to do it in the mornings, but think of what a calmer parent you’d be if you found some way to weave a small, positive practice into your daily life. And the beautiful influence that would have on your kids. It’s that ME time that you crave and you know you need, but you never seem to have time for. I was recently interviewed by Peggy so I could share my own journey towards developing this daily practice that has dramatically improved my life. You can find my interview here on Simple Daily Practice. Don’t be put off that my simple daily practice happens before my kids wake up! Or that I’ve added a second practice after my lunch on weekdays. Peggy’s website has lots of great tips for how to create a practice that fits in with your life. You can always start slow and ease yourself in. That’s how I did it. In the comments below, share what you think about whether creating a daily practice would help you to be a more peaceful, loving mother. 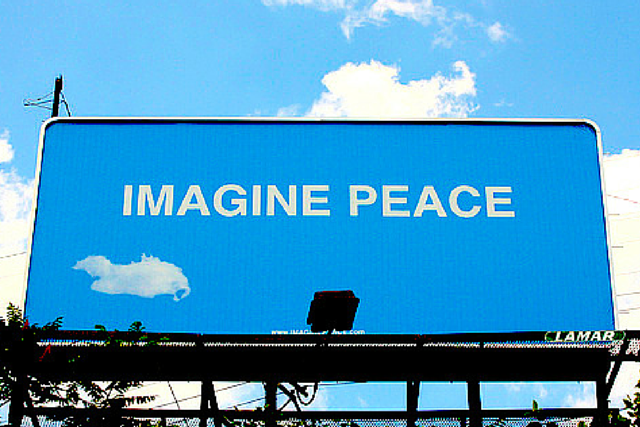 Does it feel impossible to imagine that you’d find the time? Are you already making time? What kinds of things help you to feel more mindful and self-aware? Peggy and I would love to hear your thoughts. I’m also one of those people who has all of the personal growth books, but never has time to figure out how to put it all into my life. Or even to finish the books sometimes! I love the idea of creating a daily practice. Part of me can’t figure out when I’d find 15 minutes a day for it – and another part of me wonders what’s wrong with me if I’m too busy for just 15 minutes. I’ve signed up for Peggy’s offer and have my Skype call booked for tomorrow! Can’t wait to have her help to get me started on this. I’m so happy you’re making this investment in yourself (and your family) and can’t wait to hear what comes out of your Skype session with Peggy and what you’re new daily practice will be! I’m so excited to connect today. I understand 15 minutes can feel like a lot – you can even start with 5 or just start on weekends like Kelly did. It’s more important to get started with something and then play with it until it works perfectly for you. I have been feeling the need for a daily practice for a long time. My biggest problem is that I already get up crazy-early (5:30 and I’m NOT an early bird) because I have such a long commute to work some days, then my work at home days, I want to catch up on sleep. It’s a catch-22. – After you’ve gotten dressed and ready for the day, just sit for one minute and take a few deep breaths. If you feel inspired, set an intention for the day, like “feel calm and peaceful” or “feel grounded and centered”. Even that short of a moment can shift the quality of your day. – Add something into your commute. Can you listen to inspiring books during that time? You could also do a simple breathing practice (count your breaths from 1 to 10 and then start over again. – On your work at home days, take a break during the middle of the day to do something to connect you more to yourself. Go for a short walk and notice your surroundings. Feel your body move. Don’t worry about doing something every day. Start fitting it in where it feels easiest and experiment from there. Having started just before the end of 2014 with wanting more me time, I have now realised listening to this podcast that I too have been using anytime I had to look at social media when I could have given myself that time, thank you for speaking about this I in the podcast and I going to take back that time I was wasting for me! That’s a great insight! Social media can be a great way to connect with other people in our lives, but it isn’t the greatest way to connect with ourselves. I hope you are able to find a practice to really give you that me time. Hurrah! Good for you Nuala! If you’re anything like me, you MAY fall back into that social media trap at some point (it’s easy to fall off the wagon) – so I urge you to recognise when that happens and stay strong! Yes, me time really has to be heart and soul time. Both of my kids are in school so I think and my husband thinks that I have “me” time all during the day. Well after getting the chores done and getting a workout in. I still feel like I need me time. So sometimes I get on the computer and scroll through blogs or craft pages, but I still don’t feel satisfied. I need to set up something that is concrete, that is always there, for me to go to, to spend my “me” time. Like your box under the bed. Then I can fulfill my soul and feel like I really did get my “me” time. Me time doesn’t mean you are just alone or not doing something with the kids, but instead it means you are doing something fulfilling and that could involve the kids, or crafts, or anything else that gets inside. So, what I need is to set up my box of “me” time stuff to use, journal or latest article of inspiration to read, etc. And set aside 5 minutes each day to meditate or read. Maybe that will blossom into 10-20 minutes as I go through the year. I love that! Just being alone doesn’t make it me time. And you can have me time with other people. But it definitely has a different quality of feeling connected and satisfying that only certain activities have. I love Kelly’s idea of having a box and putting in lots of different things to choose from. Most women I know need some flexibility and variety in their daily practice or they get bored and quit. And 5 minutes is a great place to start, even if it isn’t every day. Kelly started with weekends, and then added a few days during the week, and now it’s an everyday thing for her. It can take awhile to do it every day, and it helps to find activities you love to do so it feels more like a treat than another obligation. I started waking up about 45 minutes before my kids in the morning and it’s made a HUGE difference for me. I like the idea of starting with a daily practice of gratitude. Thanks for the inspiration! That’s terrific, Pam! Congratulations on taking that time and space for yourself, and all the benefits for you and your family. What great advice. My morning time to myself is sacred. I’m one of those mad people who LOVES the mornings- my energy is at its peak. So I wake up at 4am and have two hours (most days unless I have an early worm get up too) to myself. It really helps me to set the day up right. I have a special morning ritual established and spend some time working. It’s a blissful start to the day because even if the rest of the day goes pear-shaped, at least it started off on the right foot. I’m a morning person, too, Kristy, so I’d rather get up early. And my daughter sometimes gets up earlier than usual, and we just roll with it, too. And I agree – it can be a great time to get some focused work done. I’ve started getting up before my kids again. (I started last summer, but got off track with the time change and holidays.) I love it. I use the time to write or read or just finish my coffee. I had heard the advice to get up before my family before, but it took my kids starting to sleep past 5 AM and have something of a regular wake up time and me getting some regular work time (so I wasn’t staying up until midnight) trying to get my work done) for it to happen. I’m still working on getting to bed on time. It’s possible now, but I need to work at it. My new practice is to try to shut down my computer by 8:30—keeps me from working too late, from wasting too much time on Facebook, and helps me get ready for bed at 10 (and I spend more time doing something I really want to do or have done rather than wasting time online). Your new practice of shutting down your computer by 8:30 to ensure you stop working, stay off of Facebook and get to bed on time ensures you’re getting enough sleep to stick to your morning practice. It’s all interconnected, isn’t it? Thanks so much for sharing how you do it. It’s inspirational! Thanks Kelly and Peggy for the interview. I loved it. I believe that taking care of ourselves as human beings, whether or not we are mums or dads, is an act of generosity to our world. Nuturing our soul and body becomes a must if we want to offer our best self to the people we inteact with every day. It is an act of generosity and not egoism as we cannot give what we aren’t and haven’t. No new really, Saint Augustine explained it beautifully 15 centuries ago!!. If we grow in love, peace, joy, etc. this is what we offer, therefore having this in mind, we need to dedícate time for improvement either by reading, meditating, thinking, relaxing, or whatever it is that we need. I devote an hour to reading every morning. I have been doing it for over 10 years now and it has become a daily practice I simply cannot go without. Then I wake up everyone and as you say Kelly, I am a much loving mum.